Disclaimer : Real Estate Flipping makes no express or implied claims and does not warrant or guarantee earnings as a result of using the information contained and provided on this website. Individual results may vary depending on your effort and market conditions. 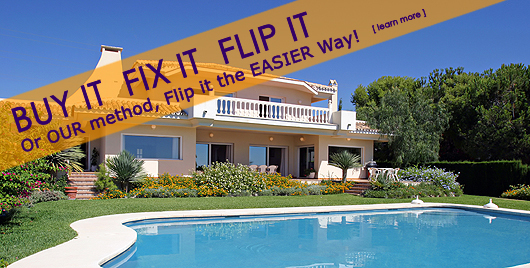 Real Estate Flipping is not responsible for any losses as a result of the techniques in our guides, and is offered as informational only in the aid of guiding the real estate entrepreneur in the niche market of flipping homes for profit.